Heat oven 350°F. Spray 2-quart casserole with cooking spray. Cook and drain pasta as directed on package, using minimum cook time. In large bowl, mix cooked pasta and remaining ingredients Spoon into casserole. Cover; bake 20 minutes or until hot and bubbly. 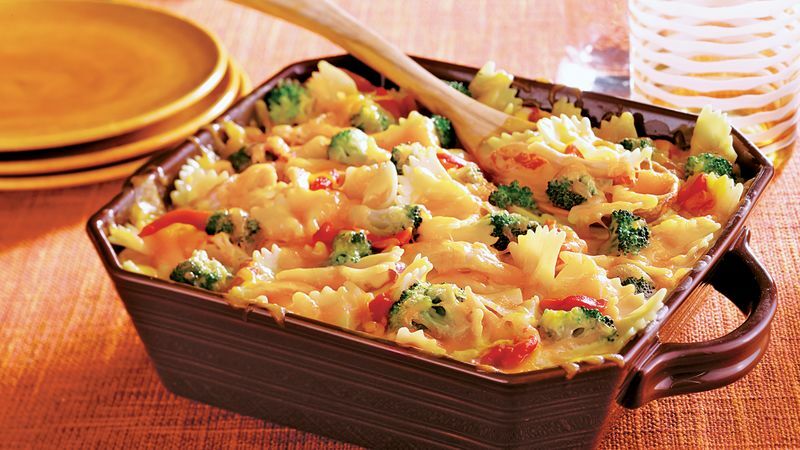 If your family prefers only broccoli, choose broccoli & cheese sauce instead of the vegetable blend.